MANILA, Philipines – The popular American business magazine Forbes has released its Top 10 richest people in the Philippines for 2018. Despite the tough challenges in the country’s economy this year, these billionaires still managed to come out on top. Old names remain in the exclusive list but few new ones have made it to become the country’s billionaires this year. 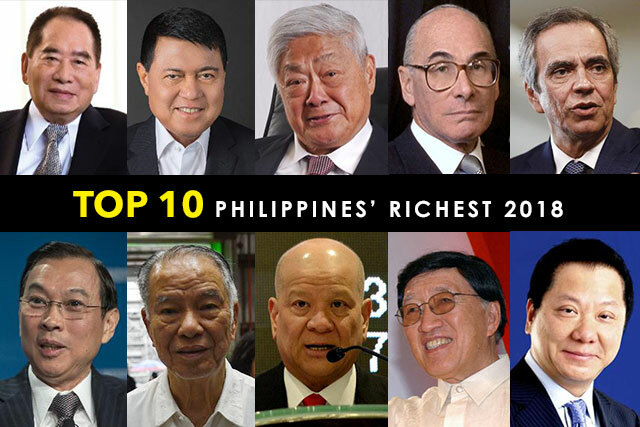 Henry Sy remains the richest while Many Villar, who ranked 10th last year, climbed high to the number 2 spot. and Andrew Tan to number 10 (from number 8). Enrique Razon, Jr. and Tony Tan Caktiong maintained their spots at number 5 and 6, respectively. MANILA, Philippines — American business magazine, Forbes, on Monday (December 3) released its list of Youtube Top Earners for 2018 and guess who ranked first? Forbes on its website named 7-year-old Ryan as the highest-paid YouTube star of 2018 by just playing with toys. Yes, that’s right! 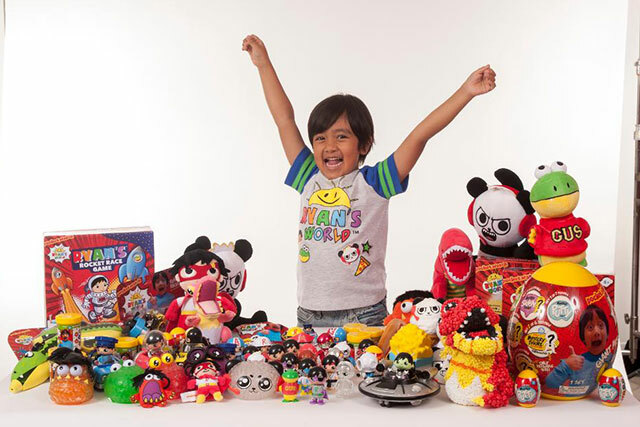 Since it’s launch in 2015, Ryan’s YouTube channel “Ryan ToysReview” has been earning millions of dollars. From 2016 to 2017, Ryan ranked 8th among the highest-paid YouTube entrepreneurs after earning a total of $11 million in revenue. In 2018, Forbe’s listed him as the top earner with a whopping $22 million in revenue in the last 12 months up to June 2018. His popularity, Forbe’s noted, enabled him to establish his own toy line under the brand ‘Ryan’s World’ which sells exclusively at Walmart across the United States. Most of Ryan’s videos follow an un-boxing pattern where Ryan is featured opening toys and giving his initial impression of it. And what’s good about it? Most of the toys Ryan reviews goes to a local charity. Forbes, known for its lists and rankings, said all earnings are pretax and fees for agents, managers and lawyers are not deducted. Most of the money comes from advertising that goes with the videos. 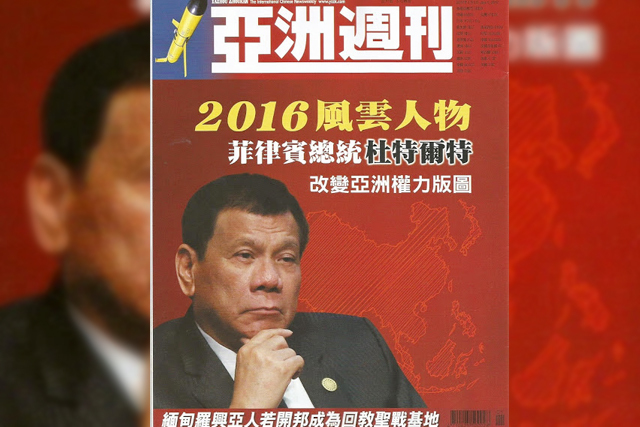 President Rodrigo Duterte on the cover page of a Chinese Magazine, Yazhou Zhoukan. President Rodrigo Duterte is once again featured by another foreign magazine. The president is hailed as the 2016 ‘Person of the Year’ by the prestigious Hong Kong international affairs newsweekly , Yazhou Zhoukan. The magazine is American Time magazine’s counterpart in the Chinese-speaking countries. The recognition is due to President Rodrigo Duterte’s independent foreign policy that distances Philippines from the United States and regaining good relations with China. “The article also praises Duterte’s good governance and anti-corruption campaign as the reason for his popularity among Filipinos,” Presidential spokesperson Ernesto Abella said. Pres. Duterte’s 6-page cover story was released on the January 1, 2017 edition of the magazine. “Its circulation is in several major markets: Hong Kong, Taiwan, Singapore, and Malaysia,” Abella said. 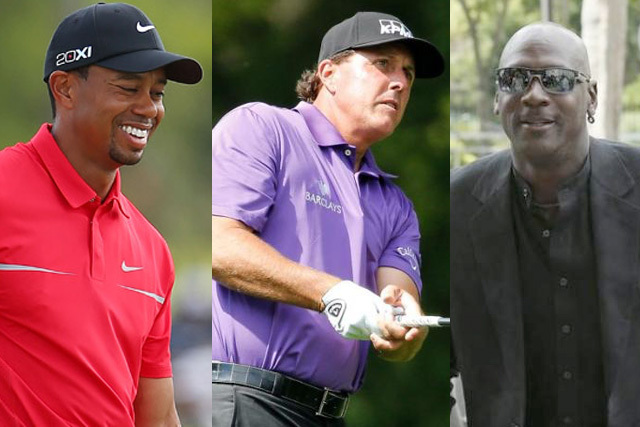 (from left to right): Tiger Woods, Phil Mickelson and Michael Jordan. Forbes has come up with its “richest celebrities 2016” list. The wealthiest of them all include former number 1 golfer Tiger Woods who sits in the seventh place, and is the youngest person on the Forbes top-20 list, with a net worth estimated at $740 million. Another American golfer, Phil Mickelson, lands 18th with an estimated worth of $375 million. And basketball’s greatest, 53-year old Michael Jordan, who retired in 2003, is worth $1.2 billion which is good for sitting on the fourth spot.